Last month, Xian Liang, co-portfolio manager of our China Region Fund (USCOX), attended the 19th CLSA China Forum in Beijing. There he and hundreds of other global attendees were given the opportunity to meet with representatives from Chinese corporations, some of which U.S. Global owns. Xian also managed to get a sense of how the nation’s recent changes in consumer behavior and governmental policy reforms might affect its investment outlook. Although China remains an emerging market, it has lately taken a number of considerable strides to position itself as one of the world’s most attractive places to invest. To help turn the trend around, new environmental policies—the first overhaul of such legislation since 1989—were rolled out earlier this year. 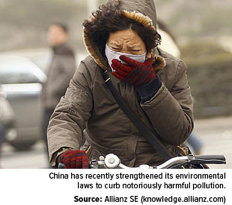 New laws include stricter emission standards, higher fines for pollution and an outright ban on soil pollution. What’s more, the executives of offending companies may be detained, and negligent government officials may be fined. Two Chinese companies U.S. 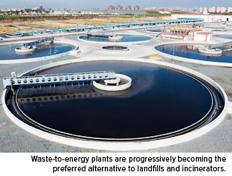 Global is proud to own are Beijing Enterprises Water and China Everbright International, both of which are committed to providing clean resources and energy. With a 5 percent market share, Beijing Enterprises is the largest water company in China, a position it’s determined to secure by building more plants and water renovation facilities. The company’s plan is to increase its market share to 10 or 12 percent within five years. Another industry that’s booming is mobile gaming. By the end of this year, the Chinese mobile gaming market is expected to have generated $3.7 billion, nearly on par with the $3.9 billion Americans are expected to spend. 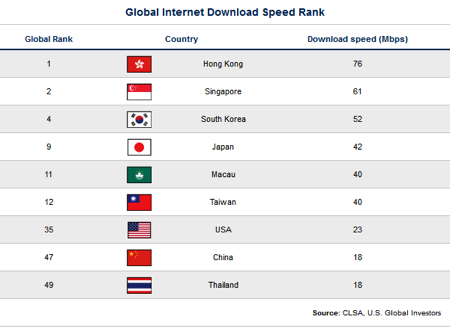 By 2016, however, China is projected to outpace the U.S., $8.2 billion compared to $5.9 billion. 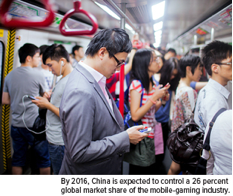 This will give China a 26 percent global market share of the mobile gaming industry, with the U.S. at 19 percent. 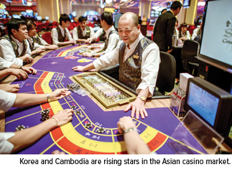 Casinos, or integrated resorts (IRs), are one of the fastest growing sectors in the Asian market, generating $63 billion in 2013. 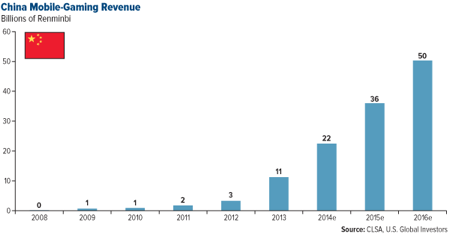 By 2018, however, it’s expected to reach $110 billion, surpassing the U.S. casino market. The reason for this is simple. As the Chinese middle class swells in rank and becomes wealthier, it will have more disposable income to spend on leisure and travel. The country’s nominal GDP growth is projected to hit 11.7 percent by 2016, which means we’ll see more money being spent on tourism. If Japan chooses to legalize gambling, of course—which appears imminent—the region will face steep competition. But for now, destinations such as Hong Kong and Macau are the main attractions. After attending the CLSA China Forum, Xian’s confidence in China as an attractive place to grow your money remains strong. To be sure, the country has a host of problems it must resolve, including widespread pollution, less-than-satisfactory infrastructure inland and a weak housing sector.